Shopping the easyfundraising way with Evan Evans Tours, could not be easier. Follow the instructions below, and create an account today to start supporting a cause or charity of your choice. 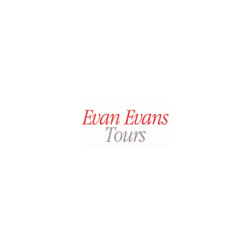 Evan Evans Tours is the best sightseeing company in London and offers tours including the Tower of London, St. Pauls Cathedral and the Changing of the Guard at Buckingham Palace. They also offer a range of day tours out of London, including Windsor, Stonehenge, Bath, Oxford, Warwick Castle and many more.